Since then, Ury — who cofounded theHarvard Negotiation Project — has followed up with related works on haggling strategy, including volumes such as Getting Past No(Bantam Books, 1991) and The Power of a Positive No (Bantam Books, 2007). 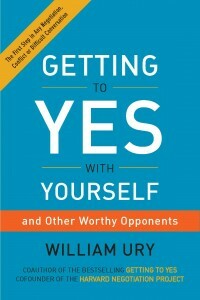 The latest in this series, released earlier this year, is titled Getting to Yes with Yourself [and Other Worthy Opponents] (HarperOne). 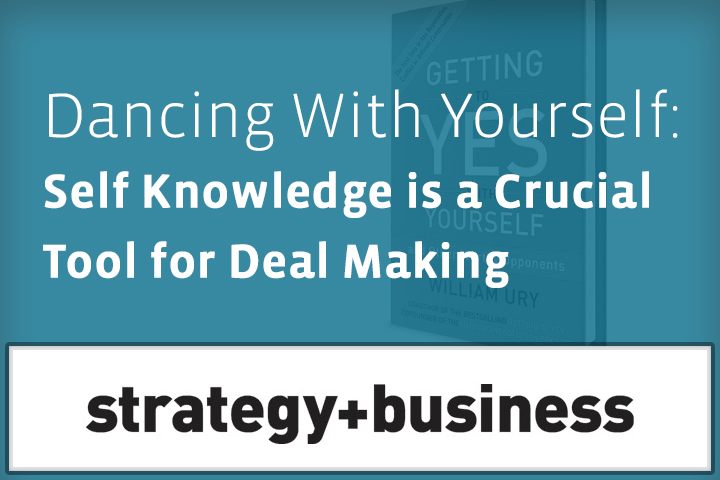 This time, instead of examining the adversary across the conference table, Ury suggests you turn the focus to a “worthy opponent” you’ll face every time you try to make a deal: yourself. No Replies to "Dancing With Yourself"